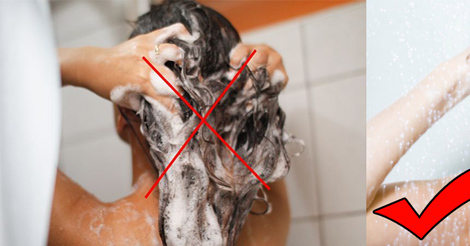 ☛ Comb your hairs normally, like you do while making a normal ponytail. 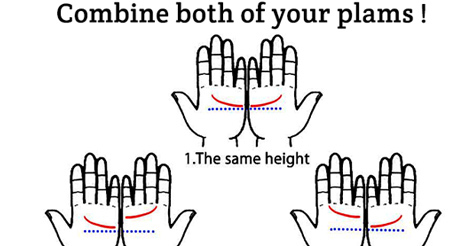 ☛ Now divide your hairs in two partitions horizontally, from the back of the head. 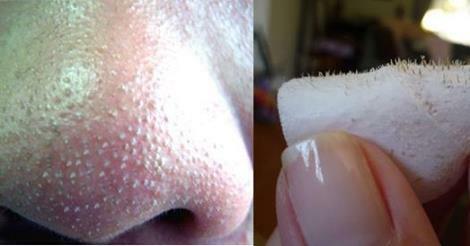 Collect hairs of upper partition and fix them with parting clips so that it will not create troubles. ☛ Make a pony from the hairs of lower partition with the help of a rubber band. And then make a ponytail from the hairs of upper partition. 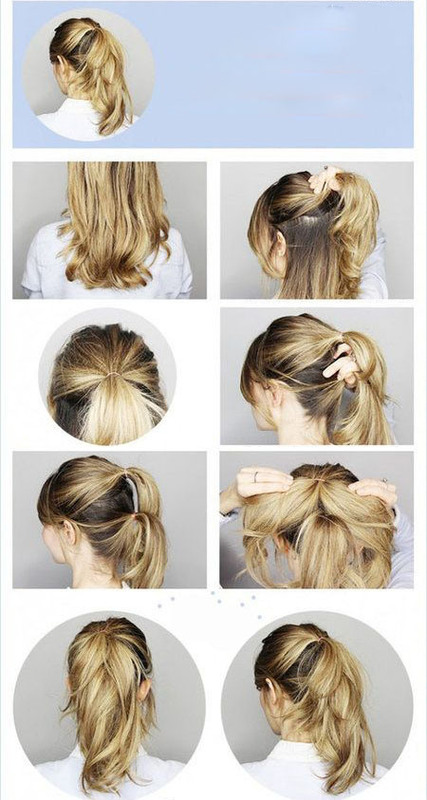 ☛ Now fluff the upper ponytail and cover the rubber band lower ponytail. And you are done. Now you realize this hairstyle enhance the length of the ponytail. And fix the flaw of short hairs.